I've discovered Phat Pho when I went to Cebu a few years back. Luckily, it opened a branch at Power Plant Mall so my love for Vietnamese food heightened. 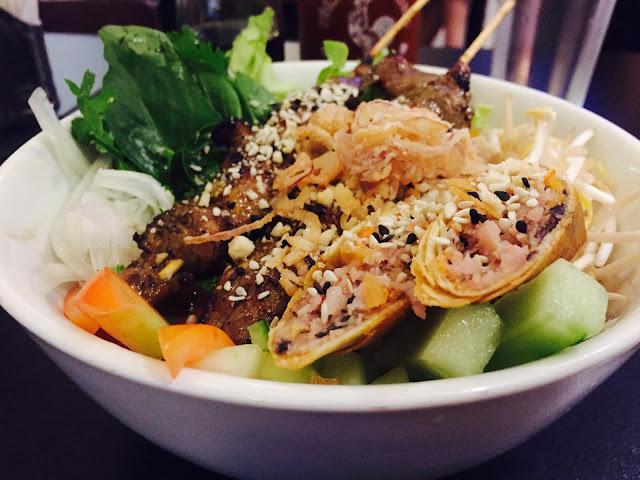 You can read about my first Phat Pho experience here --- Phat Pho Vietnamese Kitchen. Pho or noodle soup is the first thing that comes to mind whenever one think of Vietnamese food but there are really numerous delicious tasting Vietnamese food, not to mention coffee. Even before I was able to explore Ho Chi Minh City (HCMC), I already like the food at Phat Pho. And it was really a nice surprise because the food served at the restaurant was the closest to the ones I've tasted in HCMC- especially the pho, bun thit nuong, and the spring rolls. Banh Xeo or savory pancake. I've been curious about this pancake ever since I saw one at the World Street Food Congress 2017 (wasn't able to taste it there though) so I ordered this when we went to Phat Pho for the nth time last year. Btw, we always end up ordering Pho Bo and spring rolls. What I like about this dish is the crispy batter and the amazing flavors of herbs and nuts, but it has a generous amount of bean sprouts that I think it overpowers the pancake. My daughter though, enjoyed this dish very much. 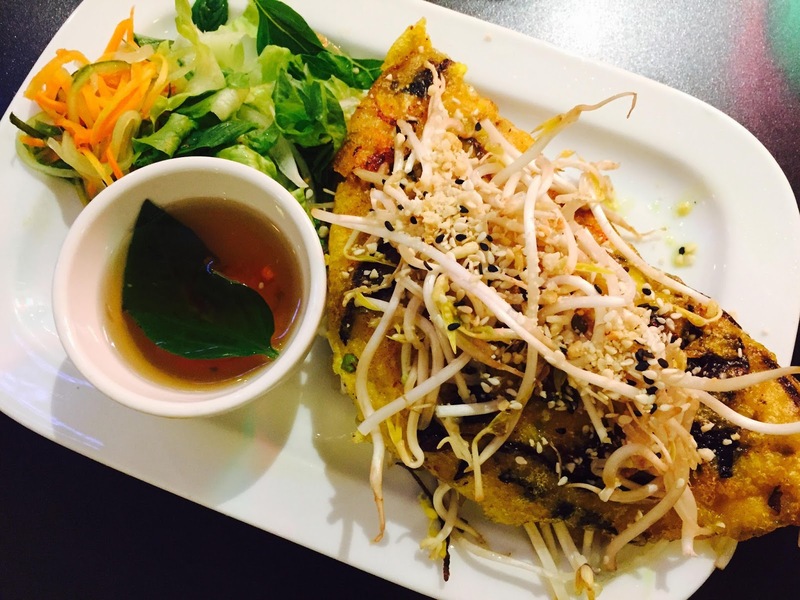 Hoping to try banh xeo the next time I visit Vietnam so that I can compare. 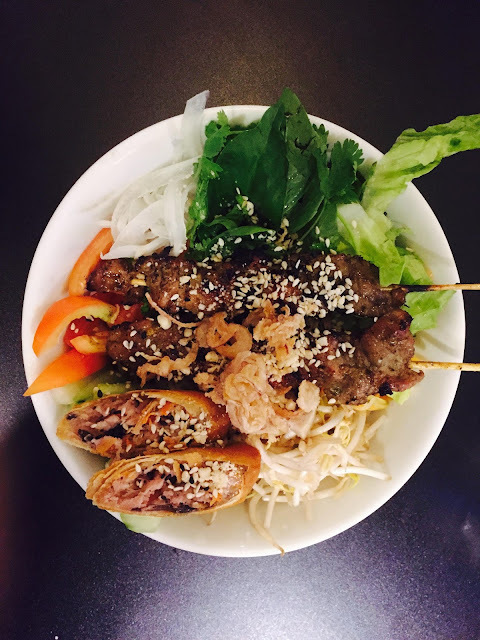 Bun Thit Nuong or cold noodles and choice of satay, beef balls, etc. This is my current fave order whenever we dine at Phat Pho. I first tasted bun thit nuong in Baguio (there's an authentic Vietnamese resto there) and that first taste was so memorable. I'm so happy to see that its included on the menu and I was not disappointed with the taste. The first one I've tried was with beef balls then I discovered the one with satay so I've been ordering this over and over again- no kidding. So how does this dish taste like- its a refreshing mix of greens and herbs, with a hint of sweet sauce topped with cold noodles and flavorful smoky satay and crunchy spring rolls (it comes with spring rolls). A burst of different flavors. 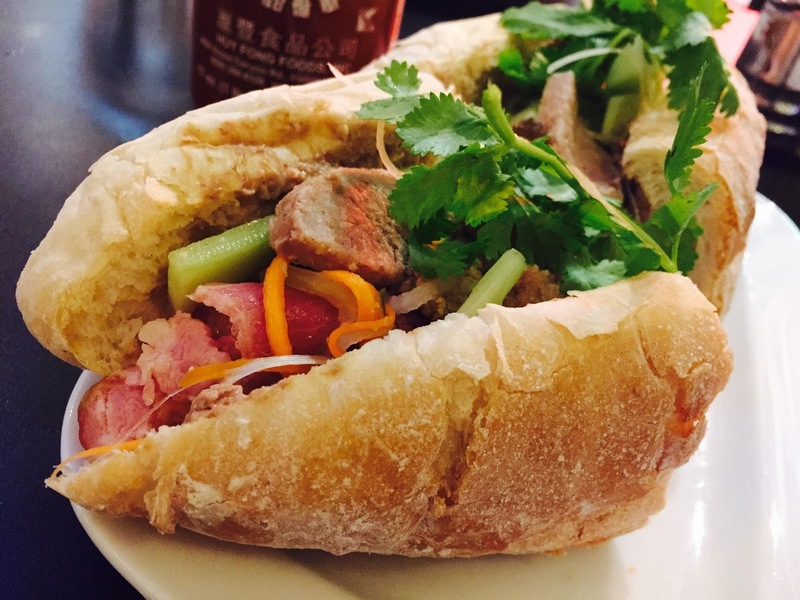 Banh Mi or basically a mini baguette sandwich. I love bread so its really easy for me to fall in love with banh mi. This one from Phat Pho is laden with meat and veggies and herbs although based on the ones I've tasted in HCMC, there's something lacking (a flavor, maybe?) in its taste because it doesn't have that harmonious blend of flavors. Overall, I am happy with the food choices at Phat Pho and would happily recommend this resto to everyone.